Another week, another Buzzard Point development deal. This time, the WBJ reports that Redbrick LMD has the Transpoint building, the former headquarters of the U.S. Coast Guard at 2100 2nd Street, under contract. The building has been vacant since the Navy used it as temporary swing space in the wake of the Navy Yard shooting in September 2013. Months prior, the Coast Guard vacated the building for a new headquarters complex at St. Elizabeths. The building sits near the tip of Buzzard Point, between James Creek Marina and a planned condominium project. To the north of 2100 2nd Street is 100 V Street, a nine-acre plot of land owned by Akridge (the northern two acres of this site were taken by the District government through eminent domain for the planned DC United soccer stadium). Redbrick LMD’s plans for the Transpoint building are unknown at this time, but options include repurposing the building to multifamily or mixed use. A recent drive by the building shows the security gates in the above photo that used to be on 2nd Street have been removed, so now there is better access to the water. 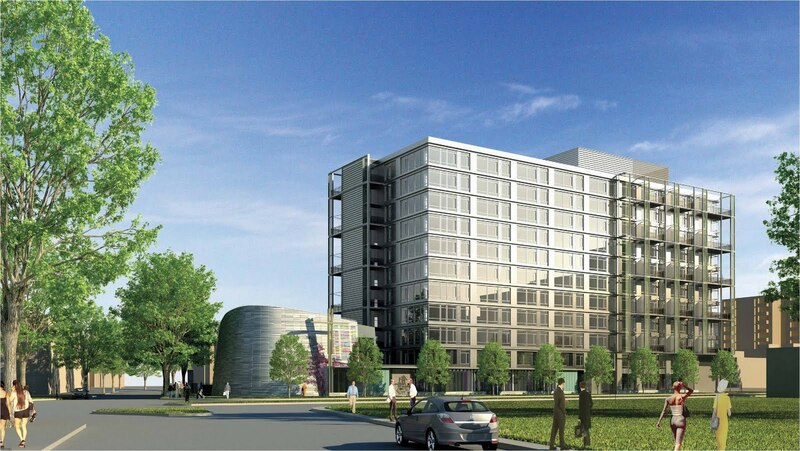 Douglas Development has plans to redevelop 1900 Half Street as well, the other large office building on Buzzard Point. It appears that 2016 is turning out to be the Year of Buzzard Point. The Bernstein Companies is gearing up for construction to begin in the coming weeks at 301 M Street, one of three new residential buildings planned on a stretch of M Street from 6th Street to Delaware Avenue which are expected to start this year. Plans call for about 190 apartment units in an 11-story building with some ground floor retail. This new building at Town Center East will be constructed on what is currently the parking lot for Waterfront Tower condos. In fact, the parking lot has already been emptied and a construction fence will soon be placed around it. Before construction can begin, a fence will be built on the west side of the property to give residents of Waterfront Tower a temporary access point to the property, since the current entrance on the south side will be blocked off due to construction activity. Construction of the first new building at Town Center East will be followed with a second building. 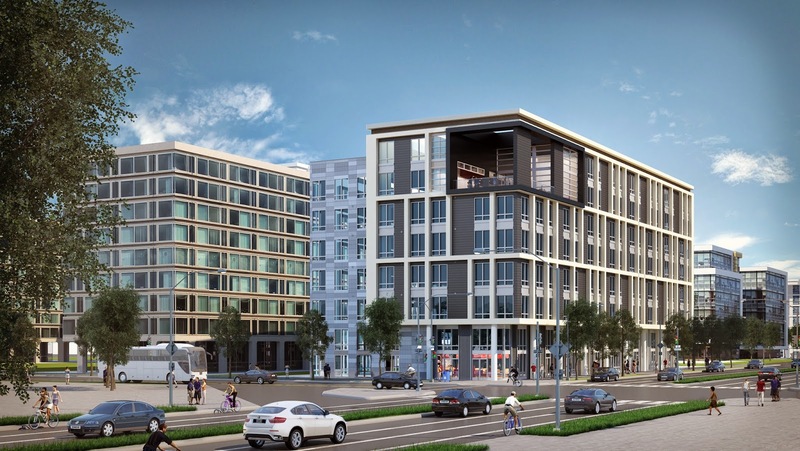 Two years after 301 M Street receives its certificate of occupancy, construction can begin on the mirror image building planned for the K Street parking lot used by 1001 @ Waterfront apartments as well as renovations to 1001 @ Waterfront. 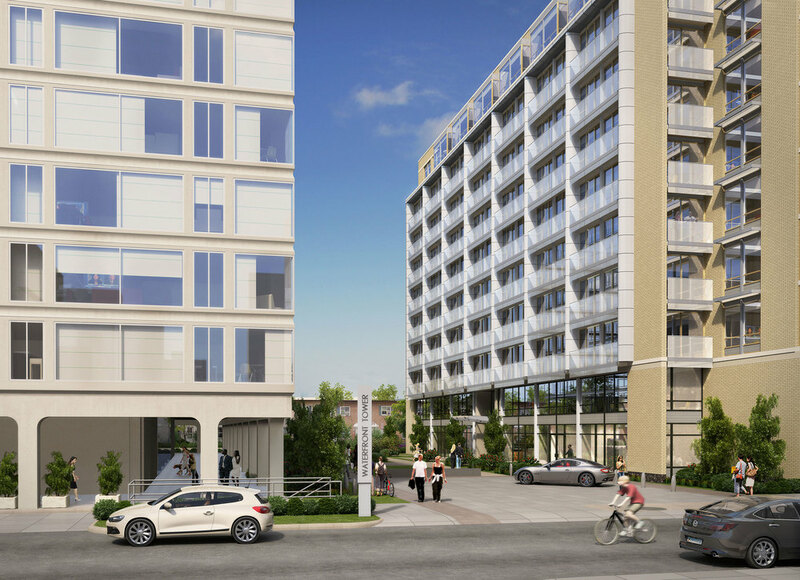 In addition to 301 M Street, construction should also start soon at the St. Matthew’s redevelopment, located at M Street and Delaware Avenue, as well as The View at 6th and M streets, which is expected to begin in June. 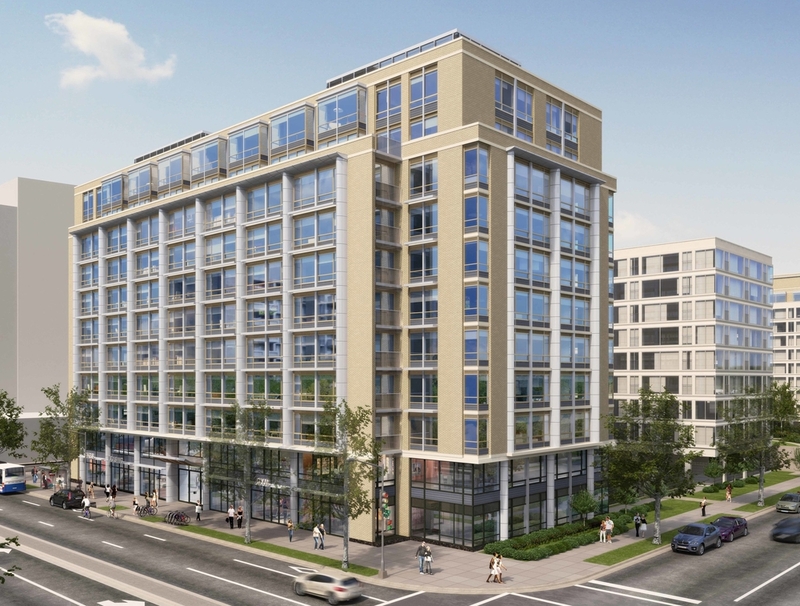 DC-based MRP has long-term plans for a mixed-use development across from the planned DC United stadium on Buzzard Point. The site in question is a group of warehouses on the 1800 block of Half Street, including Ziegfield’s/Secrets. The site has been for sale for some time now. There were clues that MRP had plans to develop on Buzzard Point – the first being one of the firm’s principles stated it during a speech at the Capitol Riverfront BID's annual meeting I attended last month, although the site was not identified during his remarks. The second clue was a little more obvious...the Office of Planning’s Buzzard Point Design Framework Plan states MRP was one of the owners of the Half Street site. The Washington Business Journal reports that the proposed development will be a 300,000 SF residential over retail building, but construction will not begin until after the stadium is built, so it's still too early to know exactly what will be constructed. Another developer in the area also has plans for Buzzard Point. The Office of Planning identified 1900 Half Street as one of six major projects planned on Buzzard Point during their Buzzard Point Design Framework Plan presentation to the community on February 3. Douglas Development owns 1900 Half Street, an office building catty-corner to MRP’s site and has plans to redevelop it into approximately 400 multifamily units. In other Buzzard Point news, Stadium District Lofts received unanimous ANC support during Monday’s ANC 6D meeting. This eight-unit apartment development at 1542 1st Street is planned as a 4-5-story building without parking. The project will be before the Zoning Commission on March 17. Green Express buses will operate between Gallery Place and Navy Yard stations with no intermediate stops. Please add up to 20 minutes of travel time. 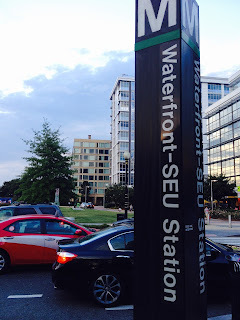 Green Local buses will operate between Gallery Place and Navy Yard, making intermediate stops at Archives, L'Enfant Plaza and Waterfront stations. Please allow 12-15 minutes of travel time for each station stop. Rail service will resume at these stations (either or Monday, February 15 or Tuesday, February 16). Over the past several months, the District Office of Planning has been working on a vision framework plan for Buzzard Point, a peninsula which has been isolated from the rest of Southwest for several decades and up until now has been dominated by industrial uses. However, that is all about to change. There are several major projects happening in the area over the next few years, from a soccer stadium to a new Frederick Douglass bridge, to a Pepco substation, and with these improvements, there will likely be more interest in the Buzzard Point area. A Draft Urban Design Framework Plan was released back in 2014. The vision for Buzzard Point is to create a lively compact neighborhood, establish a strong public realm, enhance the environment, improve transportation connections, and leverage public investment in the soccer stadium and the South Capitol Street corridor project to serve as catalysts and anchors for additional development. If the principles from the framework plan are fully implemented over the next 10-15 years, Buzzard Point could yield approximately 11.3 million SF of development, of which 6.6 million SF would be dedicated to residential, or 6,040 housing units. Through inclusionary zoning, 480 of those residential units would be created as affordable housing. Under existing zoning, approximately 16.6 million SF of development is possible, with 9.0 million SF of it dedicated to housing, or 8,170 housing units – 570 of those units would be affordable housing. According to the framework plan, the new Buzzard Point will make the Anacostia River the focus of the neighborhood with a series of open spaces and plazas along the water, which would extend the Anacostia Riverfront Trail through the area and portions of it could extend into the river. One of these plazas would be located at South Capitol and S streets and could contain a proposed Maritime Museum on its southern edge. Another plaza would be located at the terminus of 2nd Street, adjacent to James Creek Marina and the Transpoint Building, as well as at the terminus of other north-south streets. Aquatic vegetation can be planted along the river’s edge to help soften the shoreline and clean the river. The planned park within the traffic oval should be programmed with activities and a portion of it could be set aside as a future memorial site. Any commercial buildings planned around the oval should help define the space with entrances facing the oval. Potomac Avenue would serve as the grand entrance point to the neighborhood and will be where the majority of soccer fans access the new DC United stadium. Half Street would serve as a tree-lined pedestrian thoroughfare without curb cuts while 1st Street would be a service street. The majority of storm water collection would happen along 2nd Street due to its lower elevation compared to surrounding streets. This street would also serve as a bikeway. Meanwhile, east-west streets would serve as local service streets. Commercial development would be concentrated near the planned traffic oval (Pepco Park?) on South Capitol Street, while residential development would be located primarily on the northern and southern ends of the peninsula. Meanwhile, retail nodes would be created in different areas, including along Potomac Avenue and at South Capitol and S streets. A buffer zone with less-intensive development is planned to help shield the residential neighborhood to the north of Buzzard Point and orient development to the east toward the rest of the Capitol Riverfront BID area. In addition, building heights would be lower along the riverfront and gradually increase in height further away from the water. Transportation is key in order to accommodate the thousands of soccer fans and new residents. The framework plan identifies bike routes, pedestrian priority corridors, a Circulator line, and potential streetcar routes through Buzzard Point, but also encourages the flow of cars on several smaller streets instead of relying on a few arterials. No parking lots are planned for the new DC United stadium, but several lots within Buzzard Point and to the north (many already used by Nationals Park patrons) have been identified for use during game days. For more information about the framework plan, the full document is available here. SWNA is hosting a community meeting tomorrow evening at 1101 4th Street, Second Floor at 7pm where the Office of Planning and other District agencies will be available to answer questions about the plan.